Established as a Jewish settlement in 1909 and dedicated a year later, Tel Aviv has grown over the last century to become Israel’s financial center and the country’s second largest city. 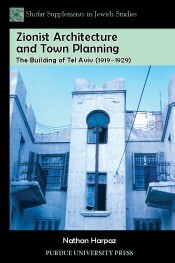 This book examines a major period in the city’s establishment when Jewish architects moved from Europe, including Alexander Levy of Berlin, and attempted to establish a new style of Zionist urbanism in the years after World War I. The author explores the interplay of an ambitious architectural program and the pragmatic needs that drove its chaotic implementation during a period of dramatic population growth. He explores the intense debate among the Zionist leaders in Berlin in regard to future Jewish settlement in the land of Israel after World War I, and the difficulty in imposing a town plan and architectural style based on European concepts in an environment where they clashed with desires for Jewish revival and self-identity. While “modern” values advocated universality, Zionist ideas struggled with the conflict between the concept of “New Order” and traditional and historical motifs. As well as being the first detailed study of the formative period in Tel Aviv’s development, this book presents a valuable case study in nation-building and the history of Zionism. 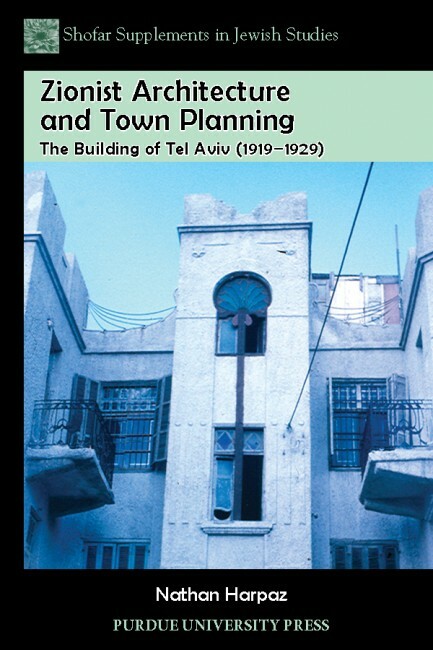 Meticulously researched, it is also illustrated with hundreds of plans and photographs that show how much of the fabric of early twentieth century Tel Aviv persists in the modern city. Nathan Harpaz is an art historian and a museum professional. He earned degrees in psychology and art history from Tel Aviv University and a PhD in interdisciplinary Studies from Union Institute & University in Cincinnati, Ohio. Formerly an art museum director in Tel Aviv, Harpaz is currently is head of the Koehnline Museum of Art near Chicago and teaches art history courses including “Jewish Art from Antiquity to Modern Israel” and museum studies.